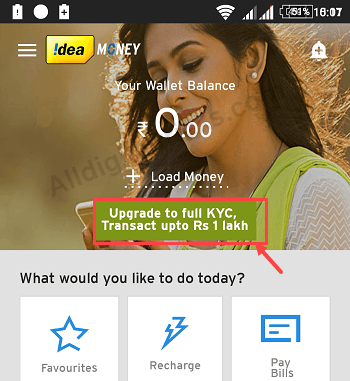 Today we will show you how to complete kyc for Idea money wallet and enhance wallet limit up tp 1 lac. The RBI guidelines issued earlier states that digital wallets are required to complete Know Your Customer (KYC) documents for their users. 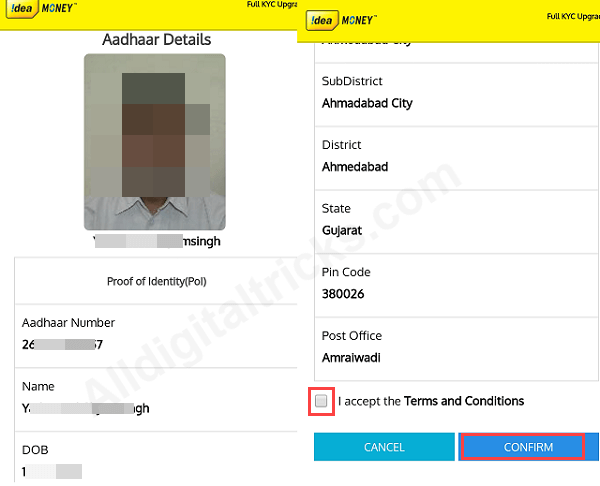 Digital wallets such as Paytm, MobiKwik, Freecharge, amazon pay etc asks their users to submit kyc details to use wallet without any limitation. If you are an Idea money user and not completed your kyc yet, then follow this step by step process and submit your kyc details to upgrade your wallet limit and avoid limitation. Things you need, your Aadhaar number and aadhaar registered mobile number. You will receive OTP on your aadhaar registered mobile number. 1: Open Idea money and login. In home screen you can see “Upgrade to Full Kyc” option, tap on it. 2: Next screen, enter your 12-digit aadhaar number and tap on proceed for OTP. You will receive OTP on your aadhaar registered mobile number, enter OTP and submit. 3: On next screen you can see your aadhaar card details. Your photo, name, address etc. Check details and tap on confirm. 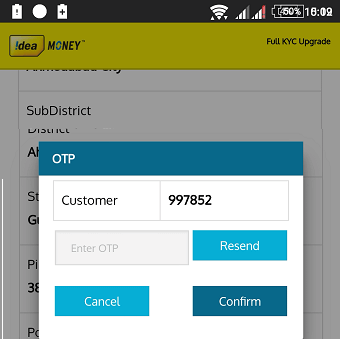 4: Next screen you need to enter OTP which received on your idea wallet registered mobile number. Enter OTP and confirm. Done! your Idea Money Full KYC completed successfully. You can see your wallet limit is now 1 lac. 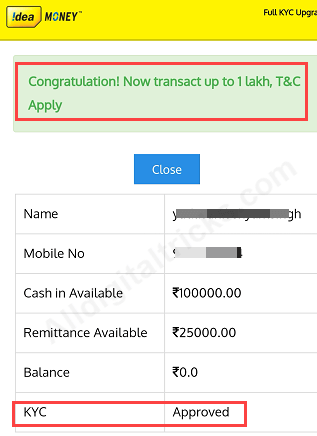 You can now send up to 25000 in single transaction. So by following this process you can complete your Idea money Full kyc online using aadhaar number.